KUALA LUMPUR (Oct 22): The suggestion by Emkay Group executive chairman Tan Sri Mustapha Kamal Abu Bakar to sell affordable houses in Kuala Lumpur through a cross-subsidy method is a "perspective of the private sector", said Housing and Local Government Minister Zuraida Kamaruddin. 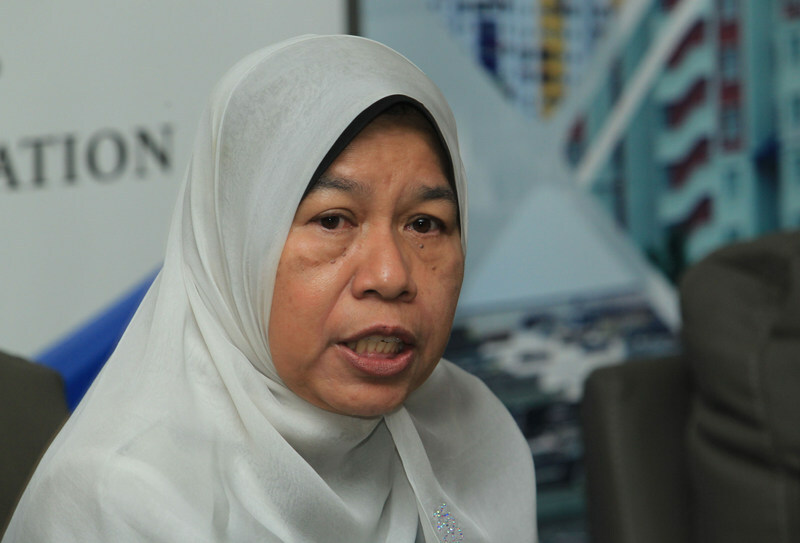 "Maybe Tan Sri Mustapha needs to listen in full the affordable housing policy that we will launch," said Zuraida, who previously proposed that affordable houses in cities be only allowed to be rented, instead of being sold, to the public. Speaking outside the Dewan Rakyat today, Zuraida said the affordable housing policy will be "different from old concepts". "I am not saying whether [Mustapha's suggestion] can or cannot be done. I should conduct a thorough presentation so there won't be any misinterpretation," said Zuraida. She added that the policy is still awaiting cabinet approval, but is optimistic that the concept will attain the green light. On Oct 8, Zuraida said that under the National Affordable Housing Council, affordable homes built in the cities will not be sold but rented out, and that the federal government will subsidise the development of these units. "We will not sell but rent (these units out). This will help to strengthen the rental market in the city," she was reported as saying. Last week, Mustapha suggested a cross-subsidisation method that will make affordable houses priced as low as RM70,000 within Kuala Lumpur possible. Under the proposal, developers can build affordable homes of RM70,000-RM80,000, homes at RM300,000, homes of market prices and shop lots at a ratio of 10:40:40:10; and the margins shared across the development to ensure profitability.